After earning an MD degree from the University of Antwerp, Belgium, Dr. Vaiselbuh completed several residencies and fellowships. Most recently, she completed a fellowship in pediatric hematology/oncology at Cohen Children’s Medical Center, preceded by a residency in pediatrics at SUNY Downstate Medical Center- NY. She previously fulfilled a fellowship in adult hematology/oncology and bone marrow transplantation, along with a residency in internal medicine at the Antwerp University Hospital in Belgium. Dr Vaiselbuh also received international training in the United Kingdom, The Netherlands and Australia. After moving to the United States, she build a foundation in basic science research at Mount Sinai School of Medicine, NY and Weill Cornell Medical College studying stem cell biology in murine models. She specializes in histiocytic disorders, pediatric leukemia and lymphoma, and her research focuses on stem cell niche biology and the tumor microenvironment. She says that her intellectual battle of basic science helps her to overcome the emotional toll clinical oncology can take at times. Her patients’ clinical presentation help her to design basic research questions, leading to translational medicine, from bed to bench and vice versa. 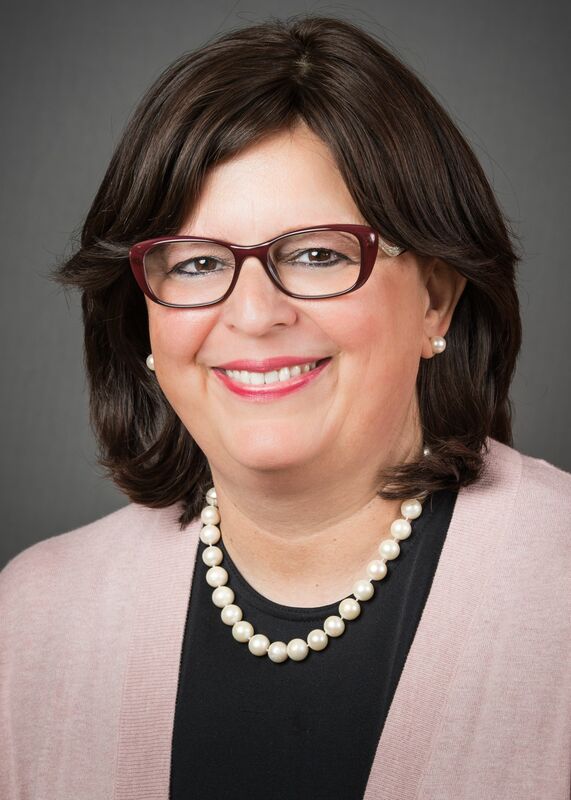 She is board-certified in general pediatrics and pediatric hematology and oncology, and her dedication to her field has earned her numerous research rewards, most recently the Jon Pritchard Fellow Award in Histiocytosis and the Edwin Marks Award for Excellence in Research at the Feinstein Institutes. Dr. Vaiselbuh is an active member of the American Society of Pediatric Hematology Oncology where is the chair of the young investigator committee as well as the speciality interest group on diversity. As member of the program committee at ASPHO, she has organized several symposia and workshops at annual meetings. In addition, she holds memberships to the Histiocyte Society and the American Society of Hematology. Dr. Vaiselbuh heads the laboratory of Stem Cell Niche Biology at the Feinstein Institutes for Medical Research. Her team focuses on the Language of the Leukemic Stem Cell Niche elucidating the communication of leukemia cells with their microenvironment in the bone marrow. 2007-2008 American’s Top Physician by Consumers’ Research Council of America. 2011 Outstanding Professional of the Year Award in the field of Pediatric Hemato/Oncology – Cambridge Who’s who? Sarah Meeus, Arlene Redner, Morris Edelman, Jeffrey Lipton. “Familial hemophagocytic lympho-histiocytosis with Munc 13-4 mutation after ALL: Treatment with 2-Chlorodeoxyadenosine (2CdA).” Pediatric Blood and Cancer, 2007 June; 48(6): 635. Sarah Vaiselbuh, Jeffrey Lipton, Bruce Seideman, Johnson Liu. “In Situ Phenotypic Characterization of the Mesenchymal Blanket Cell in the Stem Cell Niche.” Pediatric Blood and Cancer, 2009 June; 52 (6) : 704. Sarah Vaiselbuh, Jeffrey Lipton, Johnson Liu. “Leukemic Stem Cell Niche. IL-1 beta, TNF-alpha and Mesenchymal Stroma Co-culture Reduce U937 Leukemia Cell Growth but Induces Cobblestone-area Formation.” Pediatric Blood and Cancer, 2009 June: 52(6): 716. Sarah R. Vaiselbuh, Morris Edelman, Jeffrey M. Lipton, Johnson M. Liu. “Ectopic Human Mesenchymal Stem Cell-Coated Scaffolds Create an In Vivo Leukemia Niche in NOD/SCID mice.” Blood, 2009, Dec; 114 (22): 559. Sarah R. Vaiselbuh. “How do leukemic stem cells find their niche?” Pediatric Blood&Cancer, 2010 Aug 55(2): 218-219. Sarah R. Vaiselbuh, Morris Edelman, Jeffrey M. Lipton, Johnson M. Liu. “Ectopic Human Mesenchymal Stem Cell-coated Scaffolds in NOD/SCID mice: an in vivo Model of the Leukemia Niche.” Tissue Eng Part C Methods, 2010, Dec;16(6):1523-31. Sarah R. Vaiselbuh, Houman Khalili, Lee Annette, Jeffrey M. Lipton, Peter Gregersen, Johnson M. Liu. “Pediatric Leukemia-Specific miRNA Expression Profiles Induced by the Leukemic Stem Cell Niche.” Blood, 2010, Dec; 116 (21), 942. Ernest Fruge, Lakoski J., Luban Naomi, Lipton Jeffrey, Poplack David, Hagey Anne, Felgenhauer Judy, Margolin Judith, Vaiselbuh Sarah, Sakamoto Kathleen. “Increasing Diversity in Pediatric Hematology/Oncology.” Pediatric Blood&Cancer, 2011 Jul15;57(1): 147. Joanna Pierro, Sarah Vaiselbuh. “Langerhans Cell Histiocytosis – An orphan disease: The natural history of a seven year period of undiagnosis.” Pediatric Blood&Cancer, 2012 Jul1:58(7):1057.